Have you ever wished your plants could tell you exactly what they need to be happy and healthy? 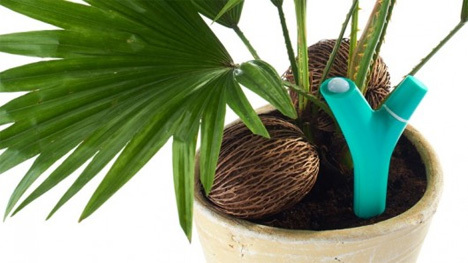 Unfortunately, we still haven’t figured out a way to directly communicate with plants – but this sweet little gadget from Parrot can act as a kind of translator between you and your houseplants. 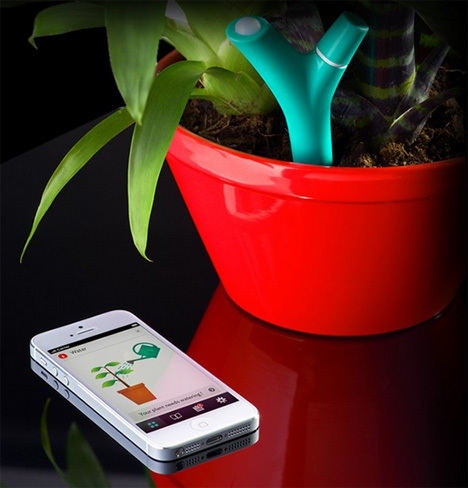 The Flower Power is a sensor that plugs right into your plants’ pots. You program the associated app – on your smartphone or tablet – with the particular type of plant you’re monitoring. The sensor measures the ambient temperature, moisture levels, sunlight, and fertilizer levels, then compares the measurements with optimal conditions for that type of plant. With a database of 6,000 common houseplants, the Flower Power app is well-equipped to keep you updated on the health of your plants. If conditions are not prime for your plant, the app sends a push notification to let you know what needs to change. Although a price hasn’t yet been announced, the Flower Power will obviously be a boon for countless brown thumb gardeners. See more in Home & Personal or under Gadgets. January, 2013.